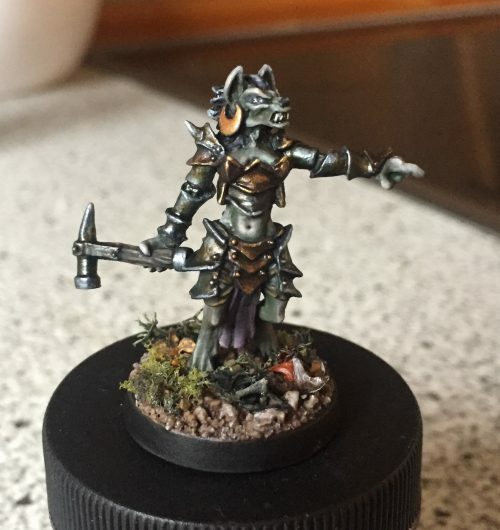 Finished the Hasslefree Gnoll Cleric. Really cool sculpt by Ben Siens. Not a lot of cool gnolls around. I have ordered a bit of photo equipment that I am hoping to test tomorrow. I have been posting WIPs to Instagram and Facebook . I hope you’ll want to follow along. I think those formats are better suited for WIP pictures. I plan on running some giveaways for painted minis in the future.